John DiMeglio founded the business on the premise that service and integrity is a vital component, especially when operating in an industry such as waste. He began modestly with only a few pieces of equipment. Immediately, his business grew on the thrust of hard work. John may no longer be with us, but he handed his work ethic and successful business model to his sons; Paul and Mark. 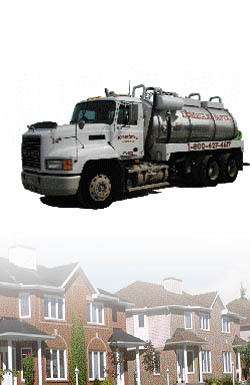 Currently, DiMeglio Septic is the most trusted name in the industry. The fleet has grown to numerous septic trucks, portable toilet service trucks, flat bed trucks, dump trucks, heavy equipment, “jetter” trucks, tractor trailers along with over 1200 portable toilets.